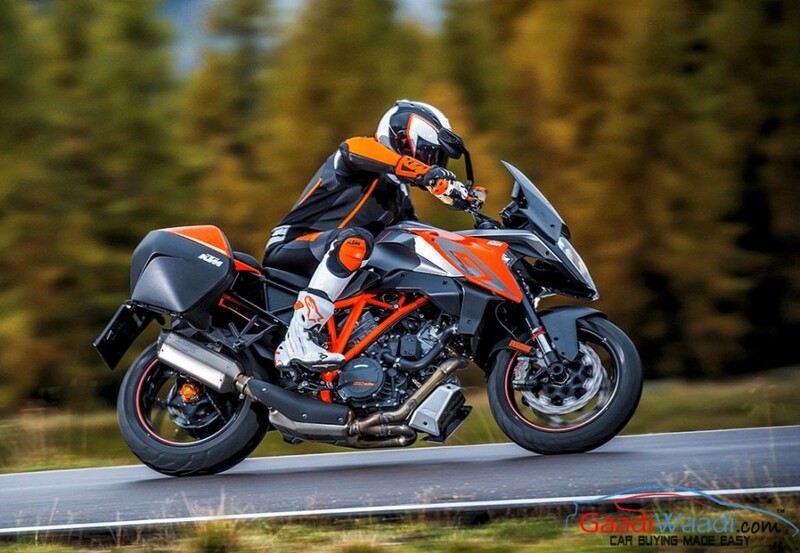 The Austrian sports bike manufacturer KTM is all set to launch the new updated Duke 125 in 2017. Before that the bike has been spotted testing, and it seems that the baby Duke is ready for production. The Duke 125 was first launched in 2011. And this is the first time; the bike gets such a large scale restyling touch. 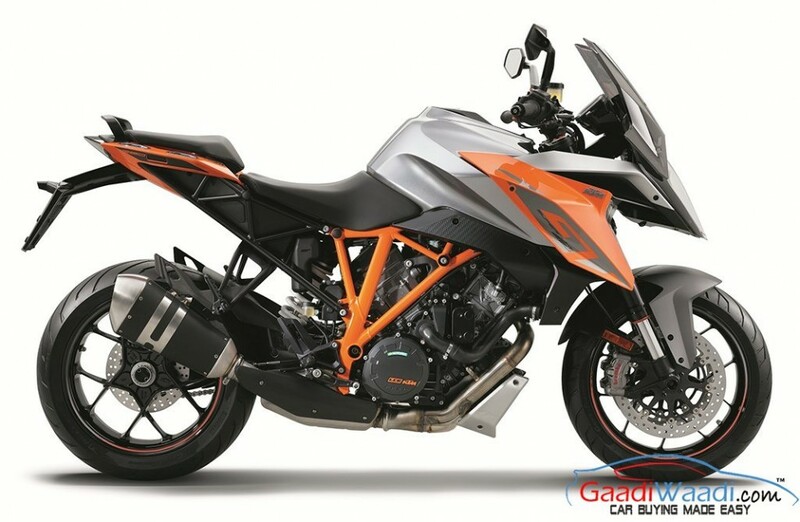 The spyshot reveals, the upcoming version of the popular KTM Duke 125 takes inspiration from its bigger sibling and the Duke range topping 1290 Super Duke R. The new 125 cc bike looks muscular and sharper. The headlight gets a triangular shape, while the body frame gets angular appearance. The cowls on both side of the muscular fuel tank reach the frame. The front mud guard also comes in a sharper note. Apart from these changes the instrument cluster is fully digital. Instead of the instrument cluster mounted on the headlamp cowl it seems the new model will get it on the handlebar. The colour theme would remain same as the outgoing Duke 125 gets a Black, White and Orange contrast theme. 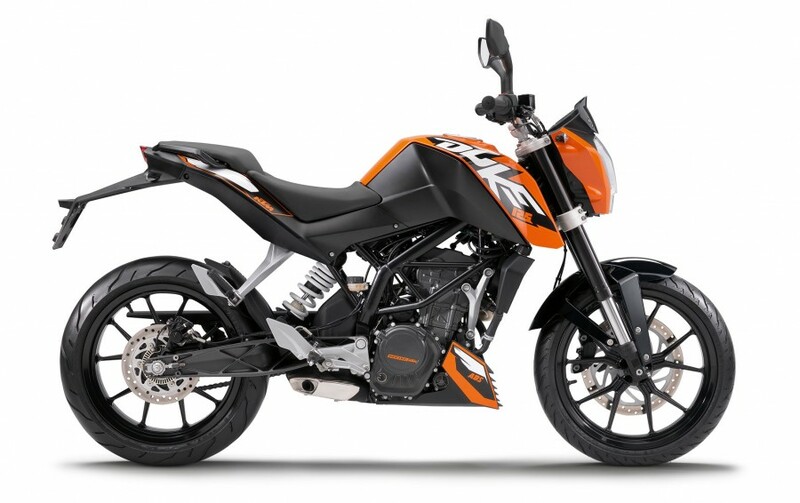 The bigger sibling Duke 390 also shares the same design language with the 125 cc model. 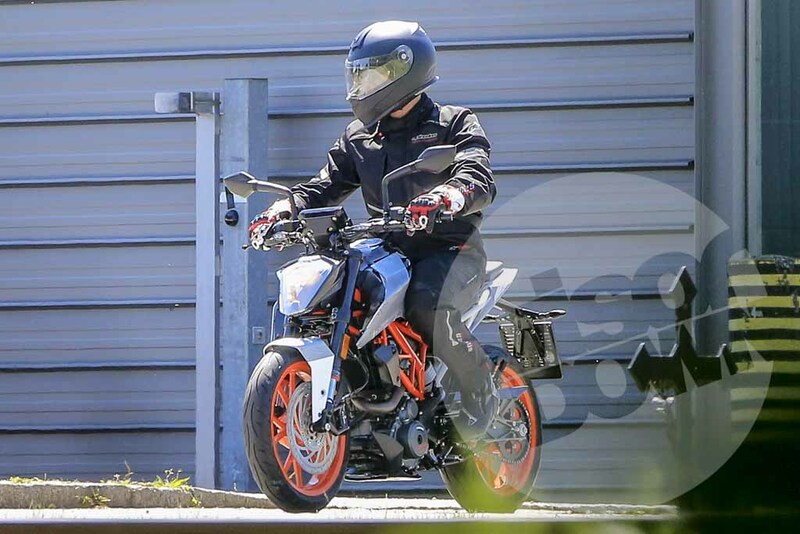 This indicates that the Duke 390 might get a restyling walking the same way like its smaller sibling. The 125 cc single cylinder four stroke engine of the baby Duke remains same. Mated to a 6 speed transmission, this engine churns out 15 hp of peak power. The upcoming bike’s engine might get only revamp attempt to improve the emission compliancy to Euro-IV. The bike will come fitted with disc brakes at both the front and rear wheels. The front disc looks a bit larger than the outgoing model’s 300 mm one. Also the Bosch ABS will be standard braking equipment available in the upcoming model like the outgoing Duke 125.